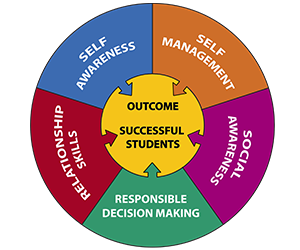 Social-emotional skills — just one more thing to cram into the school day? With all that teachers have to do, some may look at it that way. But studies show that schools with social emotional learning (SEL) programs have higher test scores, fewer trips to the principal’s office, and more engagement in class. And it may be that SEL is more about how teaching is done than what is taught. responsible decision-making: making ethical decisions and strengthening the ability to develop appropriate solutions to identified problems. ADDitudemag.com offers a free downloadable pamphlet entitled “The Teacher’s Guide to ADHD Social Skills.” It provides some tips for helping children make friends, as well as for dealing with social immaturity and bullying. 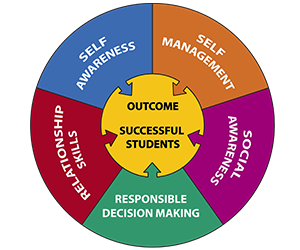 For more SEL information and resources, see the CASEL website at casel.org. Tagged CASEL, SEL. Bookmark the permalink.